Billed as the most important single strand of grey natural pearls ever to appear at auction, the famed Cowdray Pearls could fetch $7 million or more when they're offered for sale at Sotheby's Hong Kong on October 7. 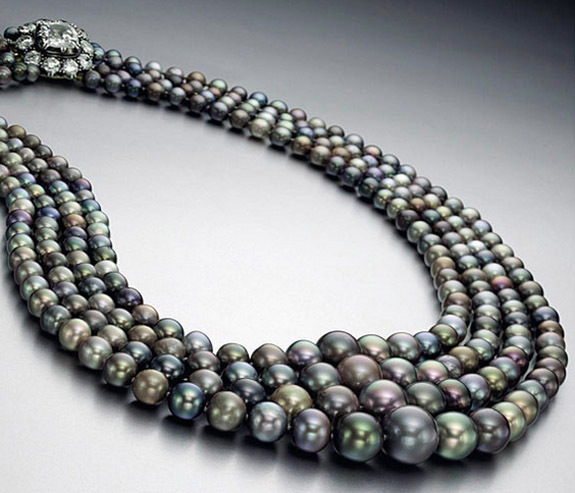 Comprising 42 natural pearls — ranging from brown to grey with varying rosé, purple and green overtones — the necklace was formerly in the collection of Viscountess Cowdray, Lady Pearson (1860‑1932). 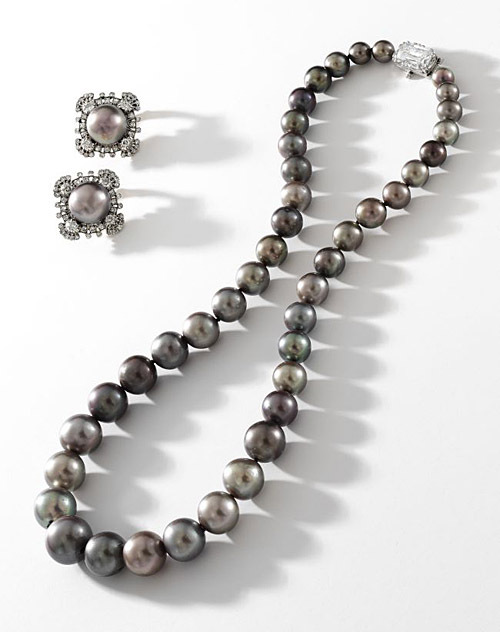 The extraordinary piece was strung and mounted by Cartier London, and the seller has included a matching pair of grey natural pearl earrings, also designed by Cartier. Sotheby's believes that claim is still true today. The auction house conservatively estimated the selling price of the Cowdray Pearls in the range of $4.5 million to $7 million, but noted it could be well higher. That assumption is partly based on the fact that, in 2012, Sotheby's New York set a world record when it sold a single natural grey pearl for $1.9 million. "What could 42 of these marvels achieve?" Sotheby's wondered in its online preview of the auction. Natural pearls are some of the most coveted of all gemstones because of their rarity. Natural pearls are organic, created by a mollusk totally by chance and without human intervention. Finding a single natural saltwater pearl of the size, color and quality of the Cowdray Pearls would be an extraordinary occurrence today. Finding 42 would be virtually impossible. Before appearing at Sotheby's Hong Kong Magnificent Jewels and Jadeite Autumn Sale, the Cowdray Pearls will be taking a promotional tour through London, Geneva, the Middle East, Singapore and Taipei. 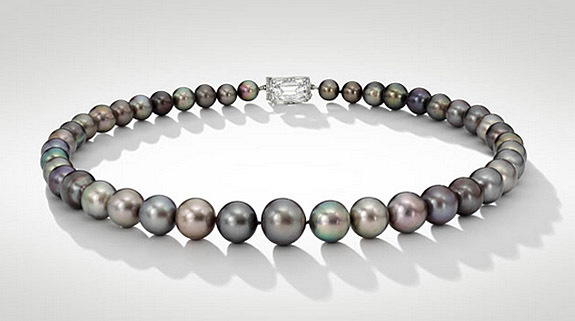 The Cowdray Pearls are not the only notable natural pearls to come to auction in 2015. This past April, we reported on the sale of an exceptionally rare four-strand necklace featuring 289 natural pearls. Christie's New York had estimated the selling price to range from $3.8 million to $4.5 million. The hammer price was $5.093 million. .Photos: Courtesy of Sotheby's; Courtesy of Christie's.